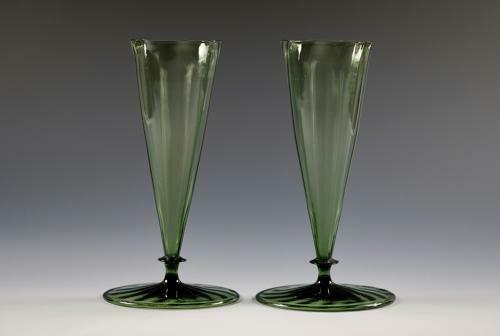 Pair of eight sided dark green vases with optical ribbing, basal merese and folded foot. Designed by Harry Powell C1870 and made by James Powell & Sons Whitefriars London. Note: A fine pair of vases well made and lovely proportions.